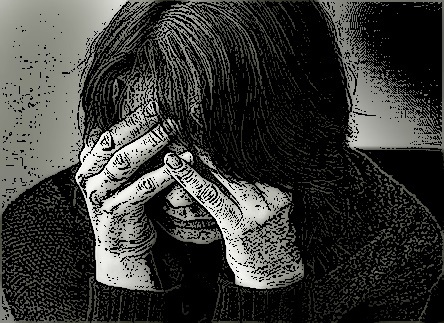 Many types of depression develop as a result of unexpressed and unresolved negative emotion. Unresolved grief, unexpressed rage over past abandonment and abuse, or a general sense of defeat and despair can certainly create or contribute to depression. Depression can even be understood as unexpressed pain, fear and anger "impacted" within your body and mind, creating a sort of system shutdown. This shutdown then contributes to depression warning signs such as low energy, despair, flat affect, loss of energy and enthusiasm for life and love. We're going to look at different types of depression here, from the mild levels that affect almost everyone at some point in their life, to extreme, chronic depression that prevents you from being able to function. How Do Anger Issues Cause Depression? 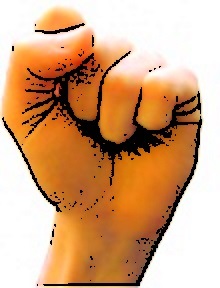 We are born with the emotion of anger as natural response to any kind of threat or opposition. We are taught that it is bad and wrong, and we shouldn't have it. So, we hold it down, which takes a lot of energy. Therefore, it is like double taxation--the energy of the anger is held down, and it takes energy to do that. The energy drain of this internal struggle can lead to overall depletion, causing signs of depression. Another way of saying this is that anger is strong energy, and keeping it inside takes a lot of energy, like having a battle with yourself. You can't win in a battle against your own emotions. What about the other kind of anger--when you explode? Vent their anger, get some relief from the release, and hurt themselves and their loved ones all at the same time. Get addicted to anger and rage release because of the feelings of power and relief that follow. Over time, survey the damage from all of the anger explosions, and get depressed over the pain and suffering they've caused. The idea here is to become your own best anger management resource for emotional healing and full recovery. What About Other Types Of Depression? There is a lot of information in medical literature that suggests that depression can be chemically based, and therefore only effectively treated with medication. This is something for you to explore, and decide for yourself. Chronic suppression of anger can lead to chemical changes in the brain, and healthy expression of anger can sometimes alter this brain chemistry also. Although anger and depression may not always be linked to each other, most of the time they are. If you decide that you have a chemical imbalance in your brain, that does not necessarily mean that the only solution for you is medication. 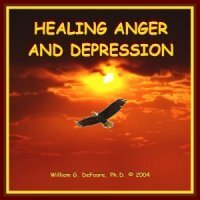 In my 40+ years of professional experience, I have found that all types of depression respond well to emotional healing and healthy anger expression. The bottom line to what I'm saying here is that all types of depression will improve if not heal completely with emotional healing and healthy emotional expression. Sometimes it's hard to tell for sure. Take a look at these depression warning signs to find out. Remember--your healing comes from inside you, not from outside. Believe in yourself, do your research with trusted sources, then make the decision that feels right to you.